When our summer travel plans to Alaska were unexpectedly cancelled, we took it as a blessing in a serious disguise and jumped on the opportunity to book a trip to Edmonton, Alberta to visit my sister and celebrate a friend's wedding. While Alberta's capital and Canada's 6th largest city may not be the most popular place to spend your summer vacation, it definitely surprised us with all that it has to offer during the summer. Day 1: The first day we had full intentions of visiting the Zoo, but the weather gods weren't playing in our favour, so we were forced indoors. Instead, we got lost in the 5.3 million square feet that is the West Edmonton Mall. As the largest shopping and entertainment complex in North America, the mall has every store you could ever imagine and then some. From shopping to ice skating, to dinner and a movie or getting your adrenaline pumping on one of the roller coasters or water slides, there is something to do for everyone at the mall. 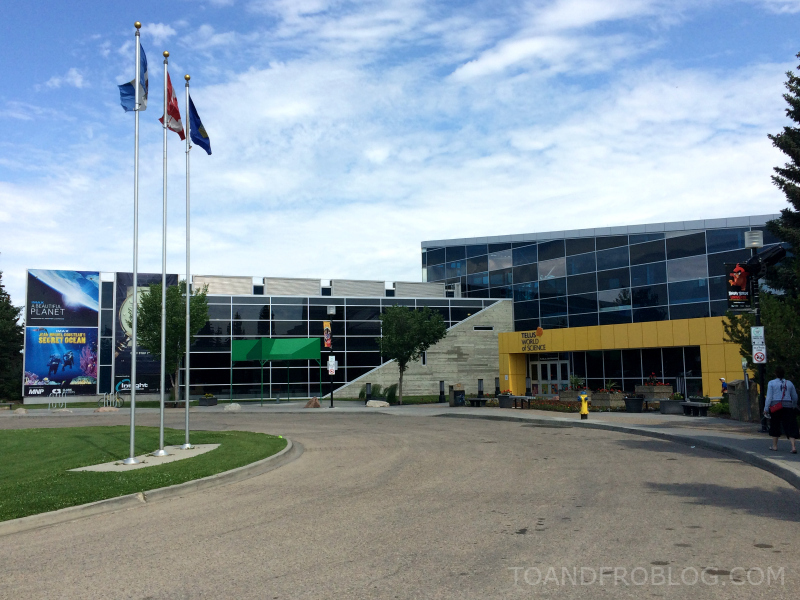 Day 2: We played detective at the Telus World of Science. One of the highlights of the museum was the The International Exhibition of Sherlock Holmes, a travelling exhibit where we were able to learn about the history and inspiration of Sir Arthur Conan Doyle's Sherlock Holmes and what it meant to be a detective in London in the 1800s. We then put on our detective hats on to examine a crime scene and solve a mystery. The activity was definitely geared toward an older crowd, and we had a blast competing to see who was the better detective. Safe to say, I won't be quitting my day job. Day 3: Morley has recently taken a liking to dogs, so with my sisters' friends' dogs in tow, we took a quick visit to Terwillegar Dog Park. At 186 hectares, Terwillegar is one of the city's largest and most popular parks. While intended as a multi-use destination for both human and dog walking, as well as cycling and accessing the river, that day, it was especially jam packed with the happiest dogs on earth. While one of our more 'low key' Canada Days, we couldn't let it pass without celebrating Morley's first. After the dog park, we took a walk down Whyte Ave, exploring all of the shops, people watching and listening to the live bands. We ended the afternoon the only logical way to celebrate Canada Day with a baby, with lunch at a local pub. She partied so hard that she pretty much slept through all of the celebrations. Day 4: We visited the downtown Farmer's Market. Despite the new Rogers Place being built for this upcoming hockey season, downtown Edmonton really doesn't have a lot going on. In fact, as we walked to the market, the streets were eerily quiet and void of people. A complete opposite to what you would expect downtown Toronto to look like on a Saturday morning. When we got to the market, the streets were buzzing with people, food trucks, fresh produce and locally made goods. Later that day, we celebrated the wedding of our good friend and roommate from Alaska. While the weather was touch and go earlier in the week, you couldn't have asked for a better day for a small backyard ceremony. With Morley hanging out with my sister for the night, we had the chance to catch up with friends over a cocktail, or two, while enjoying those 18 hours of sunlight that Edmonton is blessed with during the summer months. Day 5: Before heading home, we decided to attempt the Zoo one last time. Nestled on the banks of the North Saskatchewan River, the Edmonton Valley Zoo is a small zoo, home to approximately 350 animals from all different climates and habitats. Opening in summer of 1959 as the Storyland Valley Zoo, in recent years the Zoo has undergone a huge transformation, transitioning from the original quaint zoo to a zoo noted for its learning opportunities and work in conservation. Despite a bit of rain and Morley sleeping through the majority of the tour, we had a blast visiting with the grey wolves (below), black-and-white ruffed lemurs (below) and everything in between. We were so happy to get the chance to spend the time with my sister, especially since we never know when we're going to see her next. I thought for sure that all of the sister/niece time would help lure her back to Ontario, but unfortunately, I think I'm out of luck. We even offered her a full time babysitting gig, with promises of a place to sleep and a fully stocked fridge, but she politely declined. I thought the full stocked fridge would definitely hook her. So, until then, we'll enjoy every second we get with her, and I'll keep working on my kidnapping tactics. Safe to say, baby girl had a blast on her first big trip. And despite needing to sleep for a week, mom and dad did too. She was a rockstar on both flights, making traveling with her extremely easy. We can't wait to continue adventuring and sparking the travel bug within her. For more on our summer adventures, be sure to follow me on Instagram: @toandfro21. 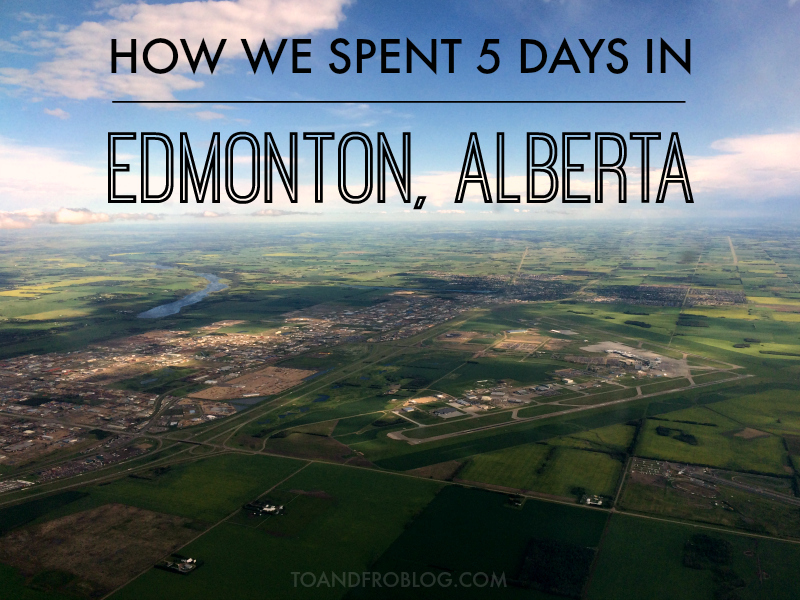 Have you been to Edmonton before? What are your favourite summer family activities?